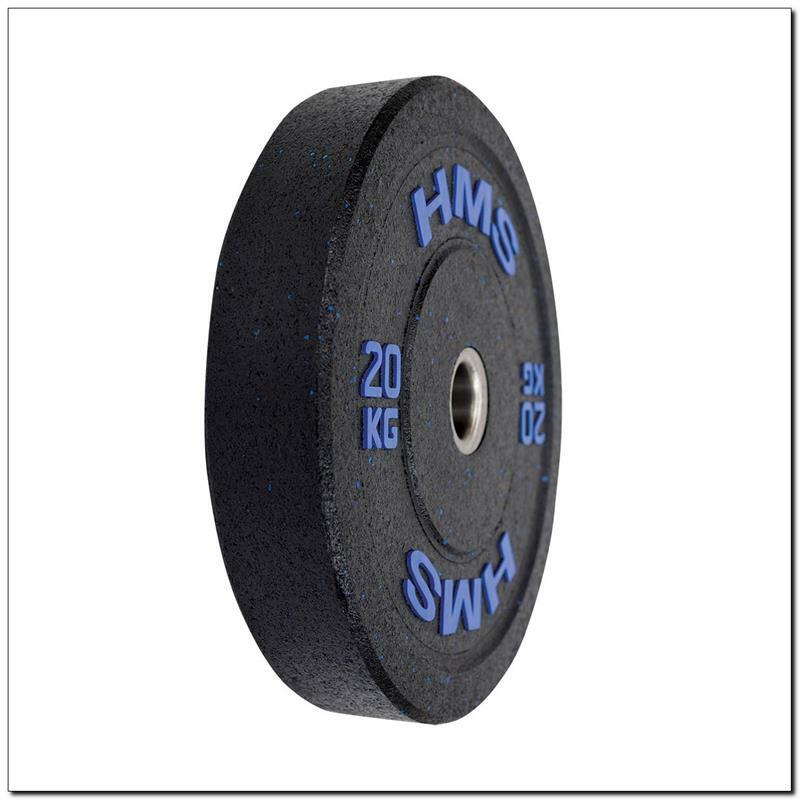 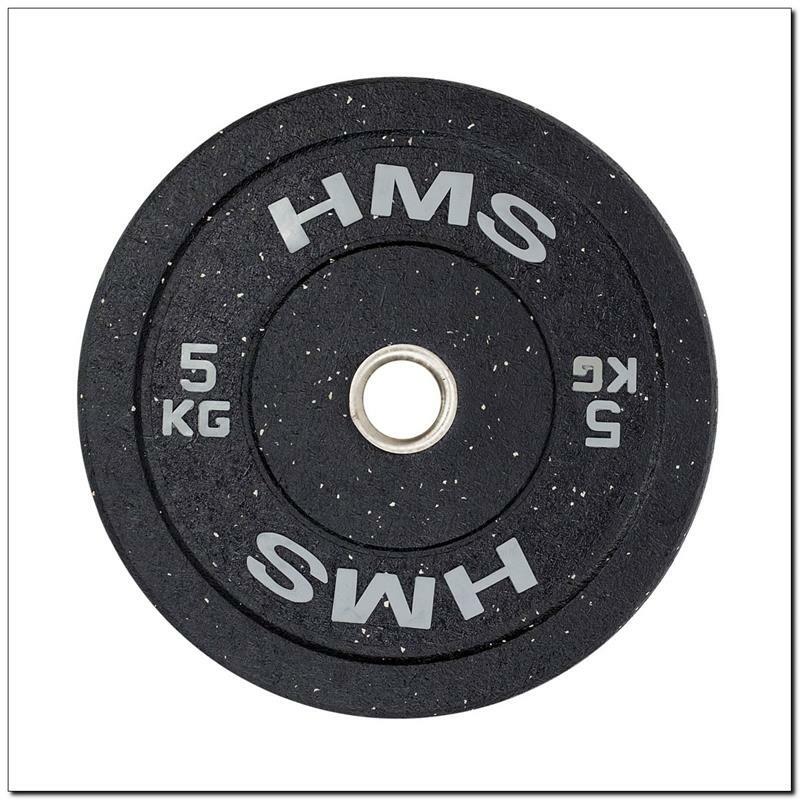 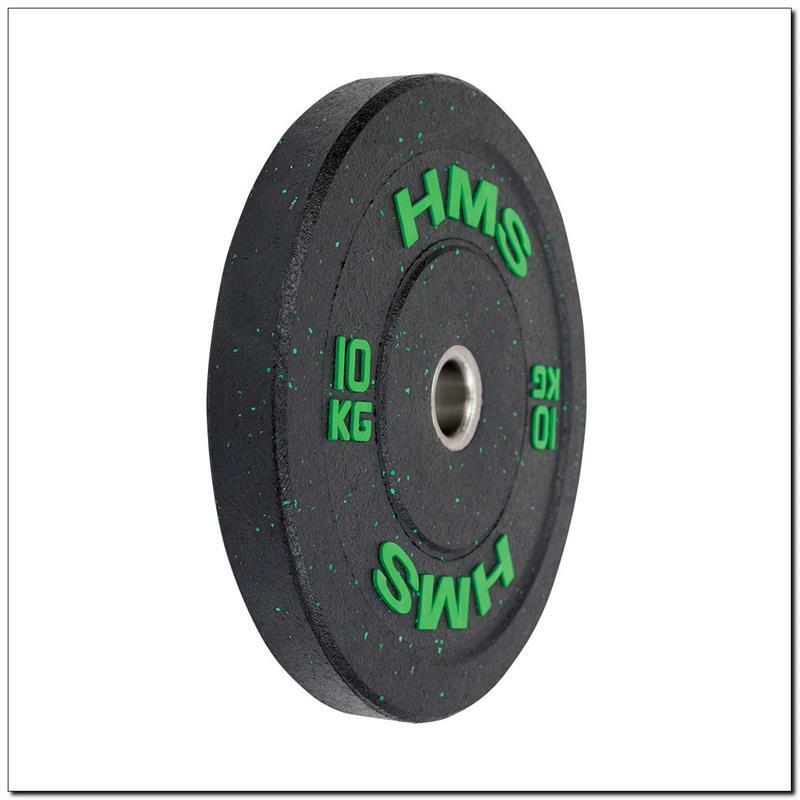 Olympic Plate HTBR 5/10/15/20/25 kg HMS, covered with rubber. 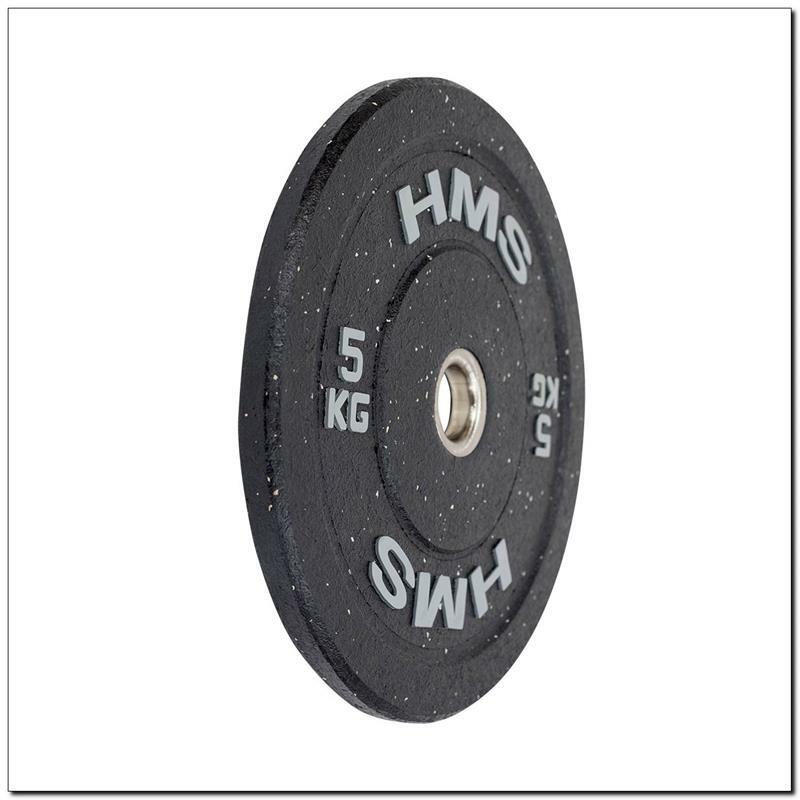 Its main advantages are perfect mold, aesthetic finish and a special profile that prevents rotation on the bar. 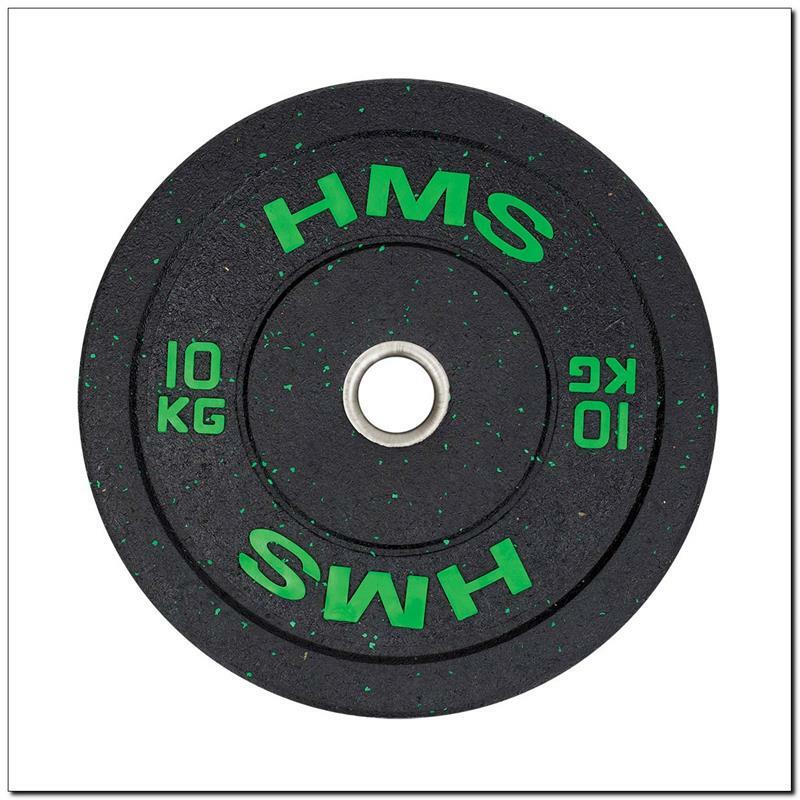 The plates are made of premium materials. 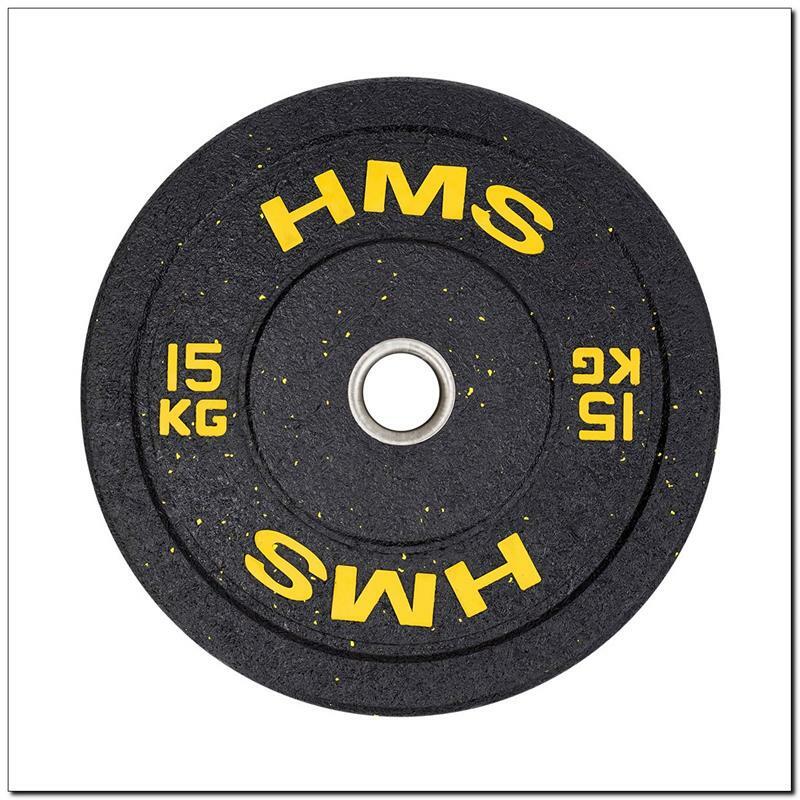 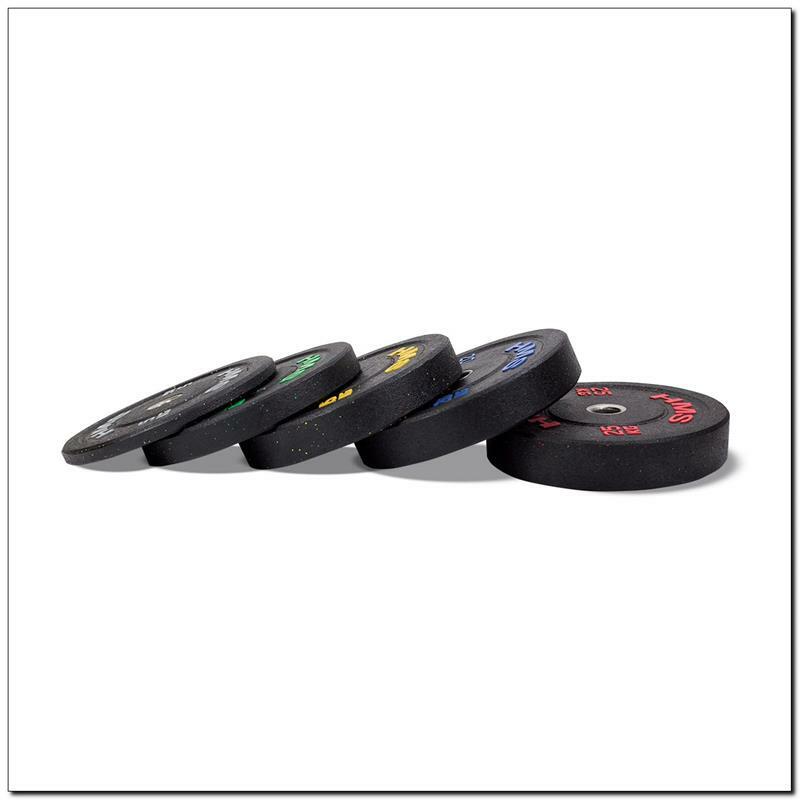 Durable rubber covering the plates dampens noise when the weight is released, as well as prevents damage to the floor. Weight and dimensions of each plate are calibrated. 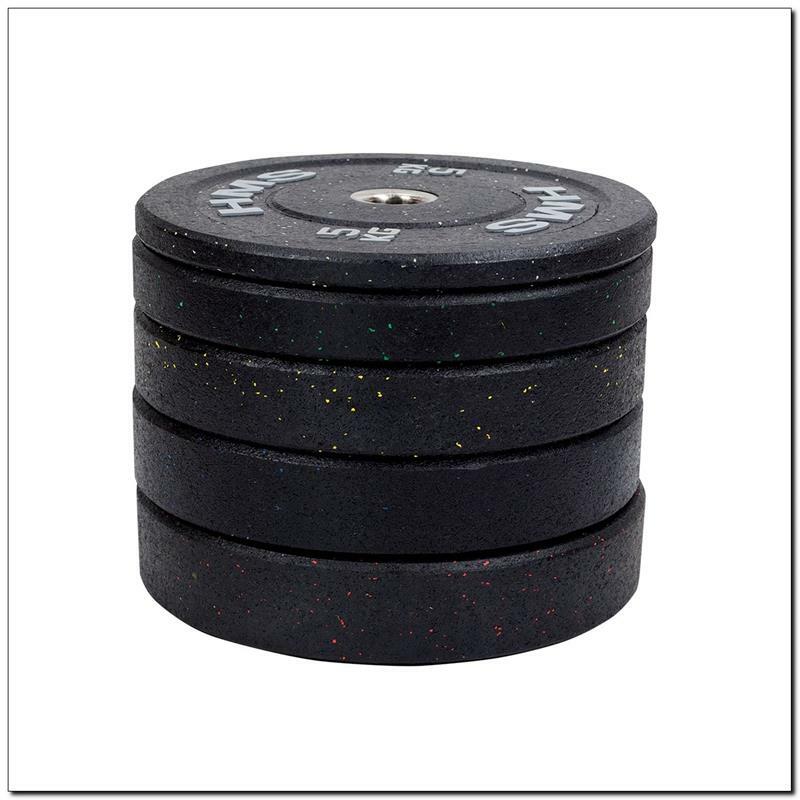 This means that the disc weight falls within the range from +1 % to -1 %. 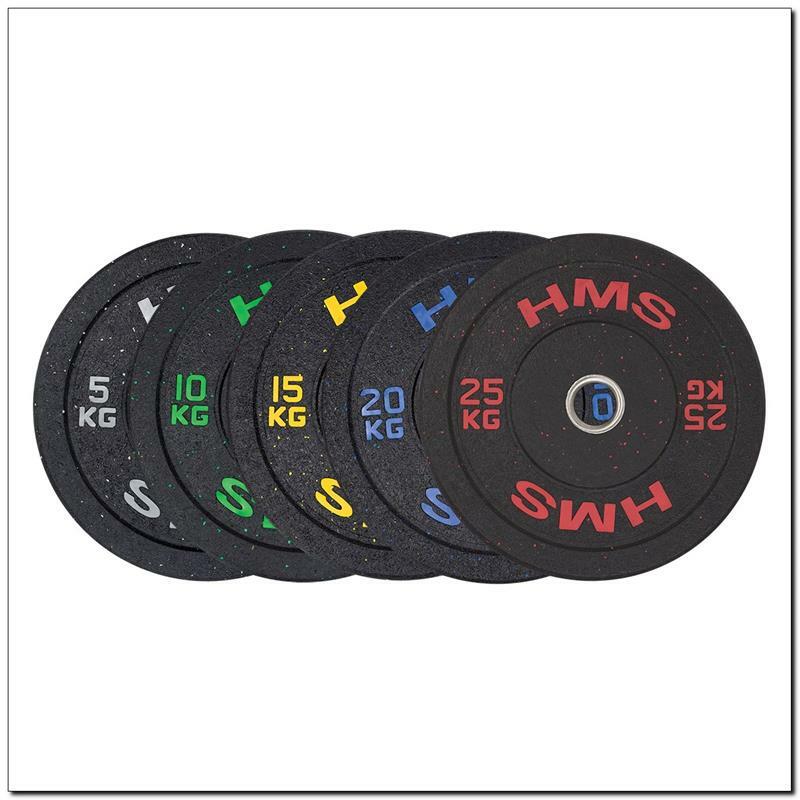 Inner diametre has been fitted to match the Olympic bars. 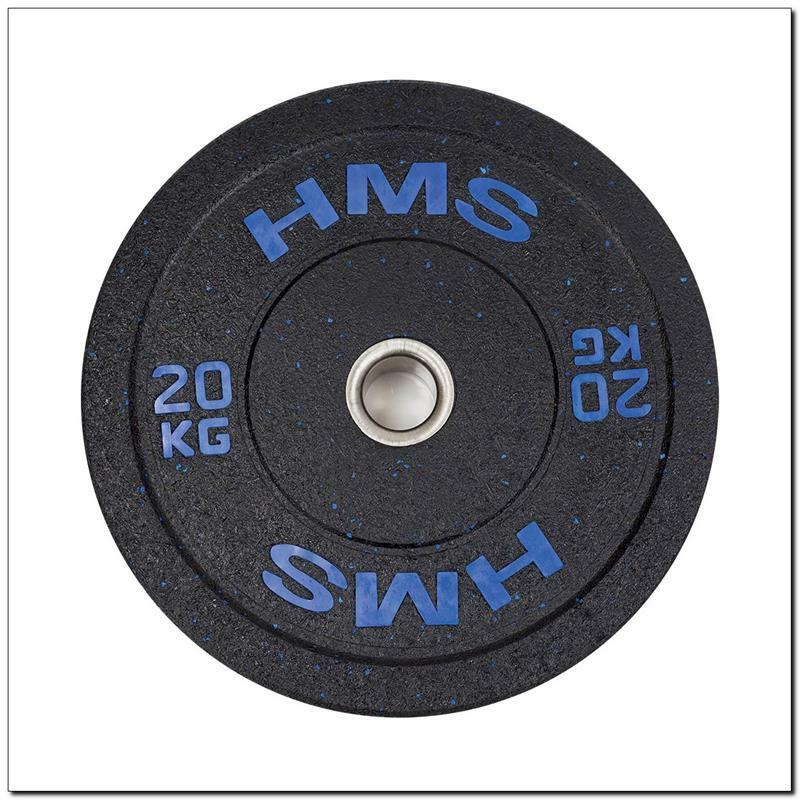 Precise manufacture ensures stability of the weights during intensive workout.